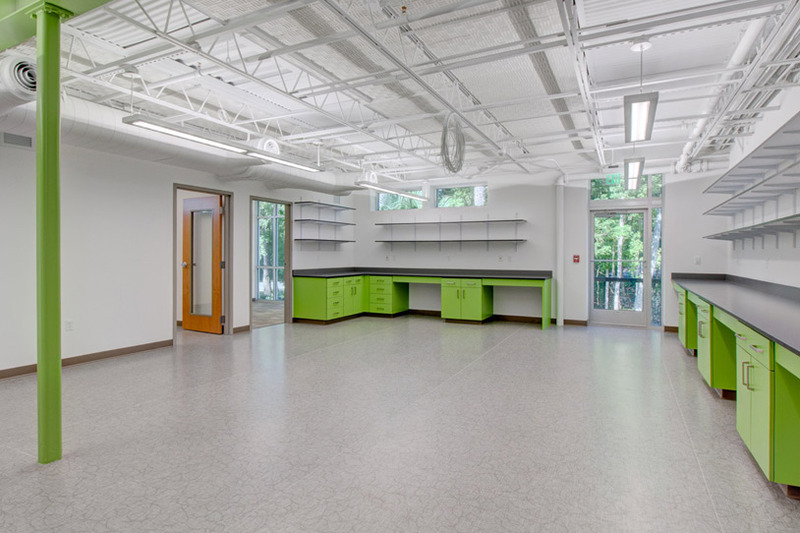 A newly-renovated modern office space in Gainesville's central business district. 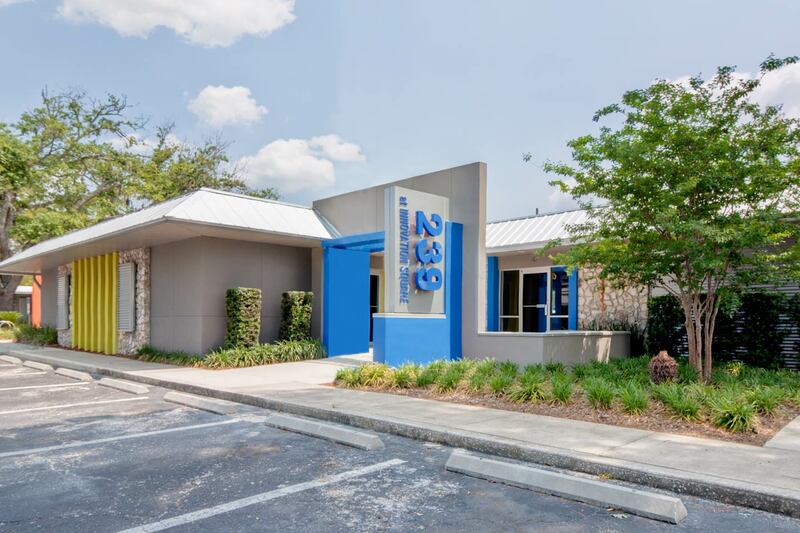 WHAT IS IT: An ultramodern office space in a highly visible location in Gainesville's quickest growing business region. WHAT'S COOL ABOUT IT: This newly-renovated office building blends glass-enclosed offices with team-oriented work spaces for the perfect balance of private and communal areas. WHERE IS IT: Gainesville's business district Innovation Square, located between downtown and the University of Florida campus. 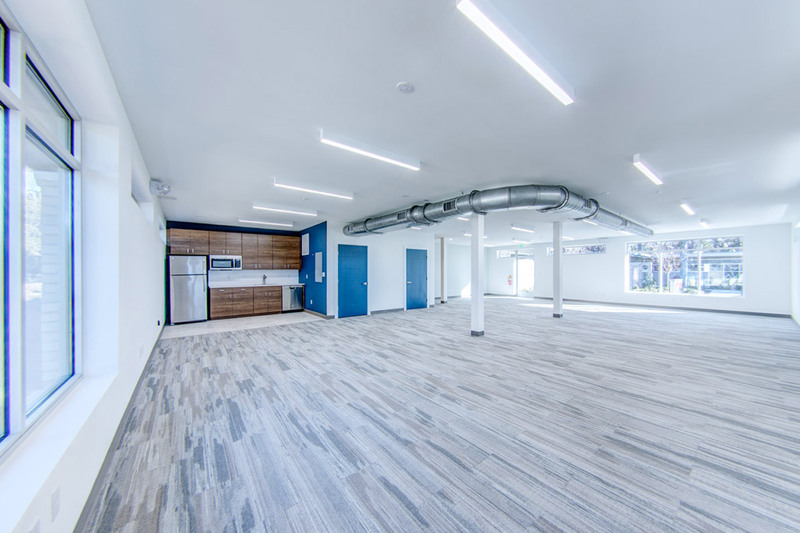 Positioned in a highly visible location on 4th Avenue in the heart of Innovation Square, the 606 building is located near popular restaurants and retailers in downtown, invaluable resources from the University of Florida, and other successful businesses. For a growing start-up looking to establish headquarters in Gainesville, the 606 building's location is unbeatable. Employees at the 606 will located walking distance to Gainesville's highest-rated restaurants, cafes, and bistros - so they can conveniently recharge during break and quickly get back to work. Over 6,000 of the sharpest minds in Florida graduate every year from the University of Florida. 606 is positioned in an ideal location just steps away from campus, making it easy for companies to recruit these graduates into full-time employees. The 606 building features 4,000 square feet of office space in Gainesville's Innovation Square . Its brick exterior and attractive landscaping catch the eye of passerbys at its location on 4th Avenue. Inside, the space is characterized by elevated ceilings with exposed steel beams, a series of glass-walled private offices and conference rooms and vast open work areas. The interior also features luxury bathrooms and an upscale kitchen complete with modern fixtures and stainless steel appliances. Sure to attract potential clients and employees, the 606 building is perfect for any growing company wanting to establish headquarters in Gainesville. The 606 Office Building can be leased as two separate 2,000 sqft units or as one 4,000 sqft unit. Each comprises of a spacious open work area, multiple glass-enclosed offices, a conference room, an upscale bathroom, and either a kitchen or break room. 239 at Innovation Square allows subdivision and customization for multiple businesses to prosper. 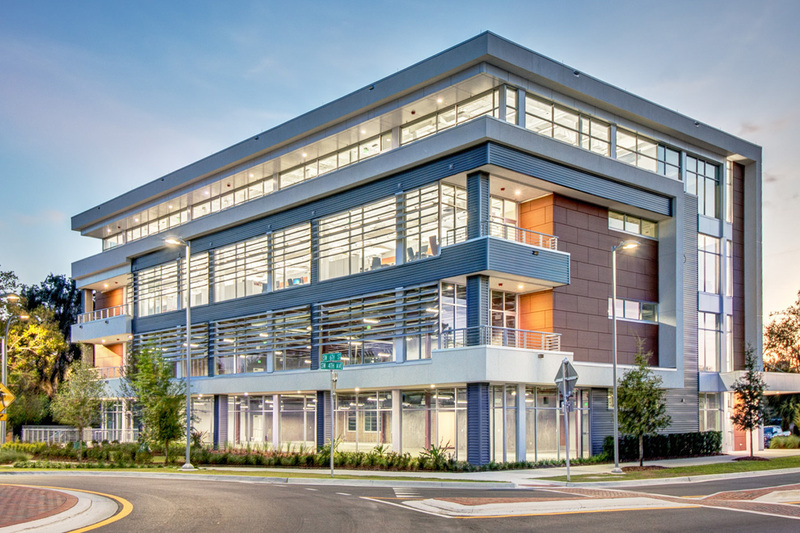 This building is strategically located between the University of Florida and UF Innovate | The Hub. 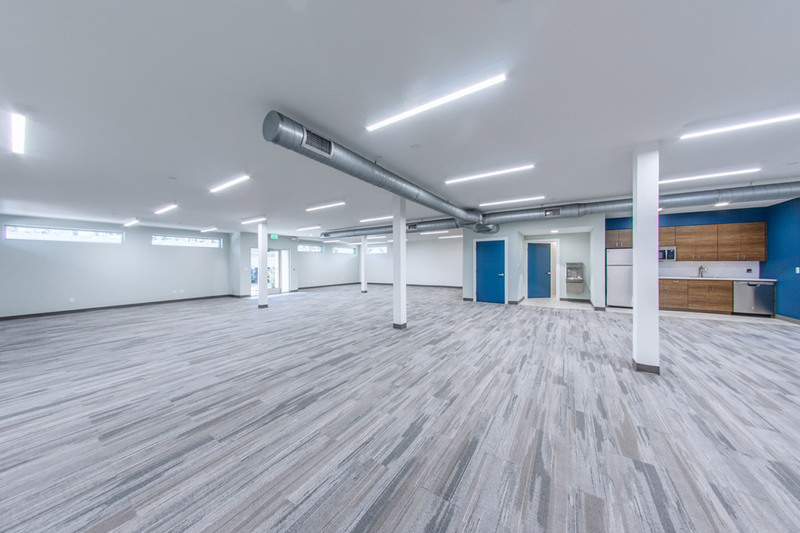 Newly-renovated in Feb. 2018, 1090 #10 is a modern, open office space featuring a like-new interior. 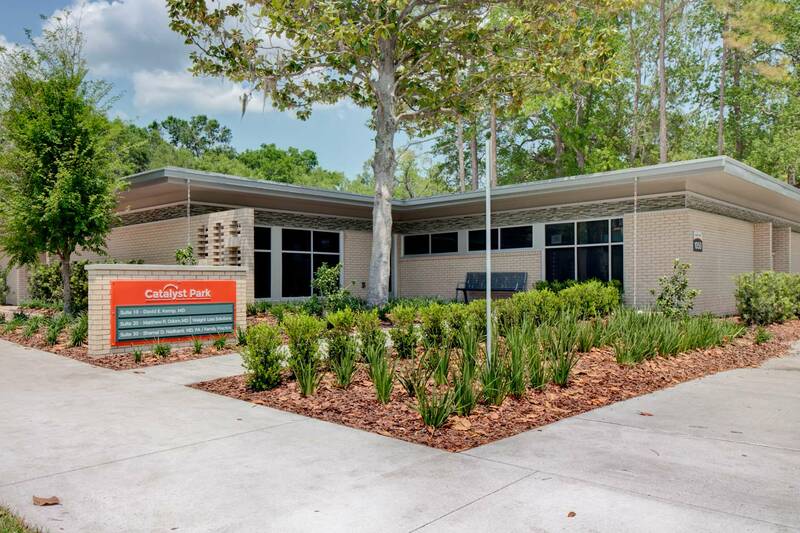 1090 is located at Catalyst Park, less than 1 mile from the thriving Innovation Square district & UF. Custom build-outs available. The 1090 building is located less than one mile from Innovation Square and University Ave. Suite #20 was newly-renovated & features a like-new interior and ultramodern features. Custom build-out available.